Steam locomotive #2355 was built for the Southern Pacific Railroad in October, 1912, by Baldwin Locomotive Works, in Philadelphia. Locomotive #2355 is a Class T-31, "ten-wheeler," 4-6-0, built as a dual service locomotive for smaller passenger and freight trains. A typical use for the 4-6-0, was in commuter train service, as they could accelerate trains to track speed from the many passenger stops. 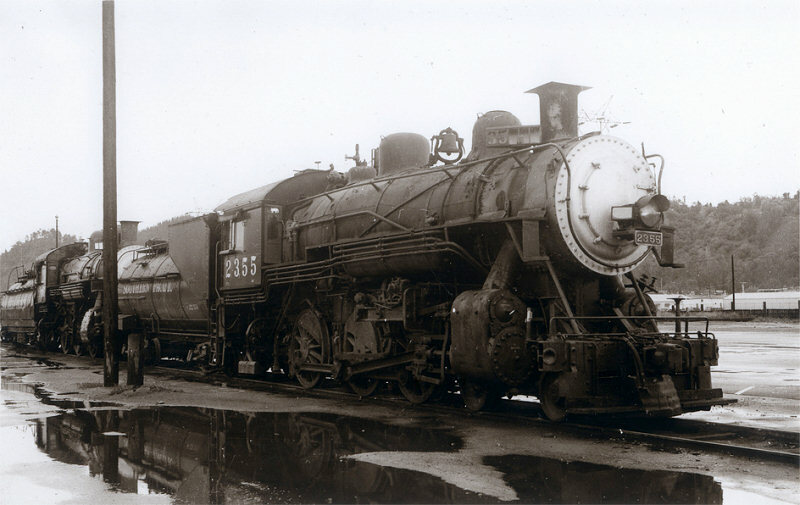 The #2355 was the third locomotive in a series of ten identical 4-6-0 locomotives constructed for the Southern Pacific with the Class T-31 designation. There is only one other example of the T-31 class that survived, the # 2353, on exhibit in Campo, California. The # 2355 operated several million miles during its 45 years of service, until it was relegated to standby service as the Southern Pacific and other railroads were converting to diesel power. Southern Pacific retired #2355 in late 1957 and it was set for scrapping when it was given to the City of Mesa for exhibit. A donation ceremony was held on April 12, 1958. Photo submitted by Wally L. Burgess who worked on the engine.